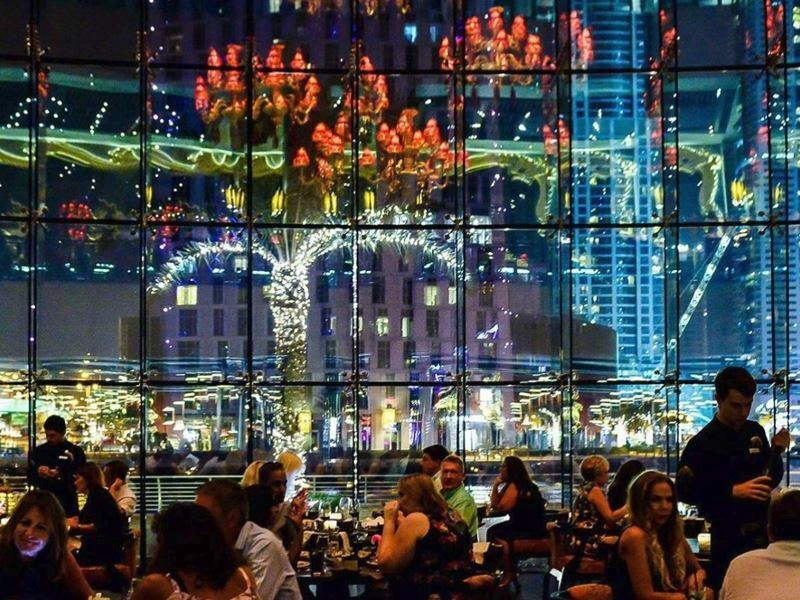 In the unashamedly opulent city-state of Dubai, where levels of extravagance reach almost unthinkable peaks, there’s definitely no shortage of fine dining restaurants. 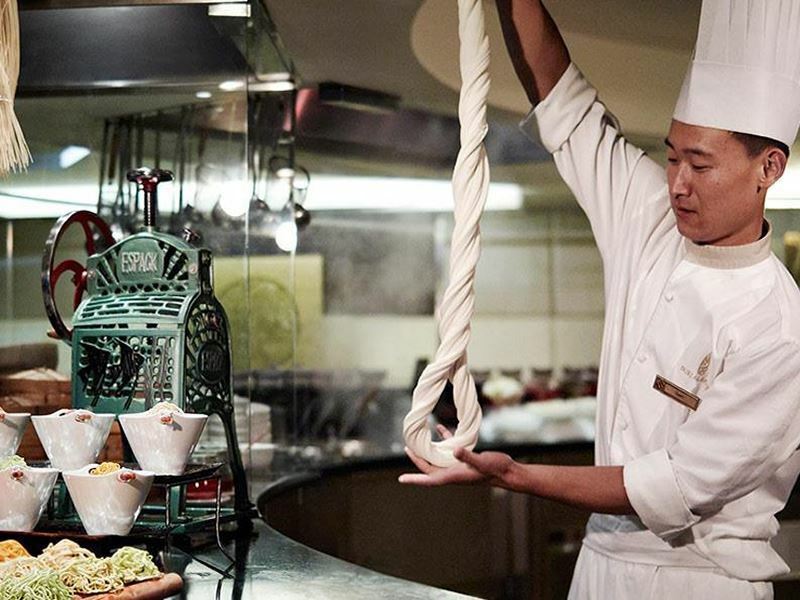 Attracting celebrity and Michelin-starred chefs from all over the world who launch restaurants specialising in their home cuisine, Dubai is the place where you can venture to try something new and alluring, or play it safe and delight in your foodie favourite, executed better than ever before. 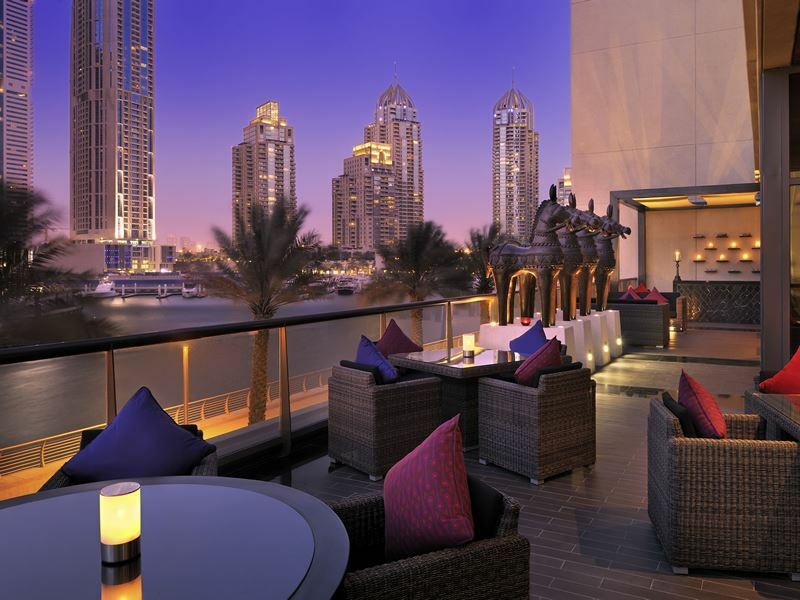 You don’t have to travel far for world-class exemplary cuisine and spectacularly appointed surroundings when in Dubai. 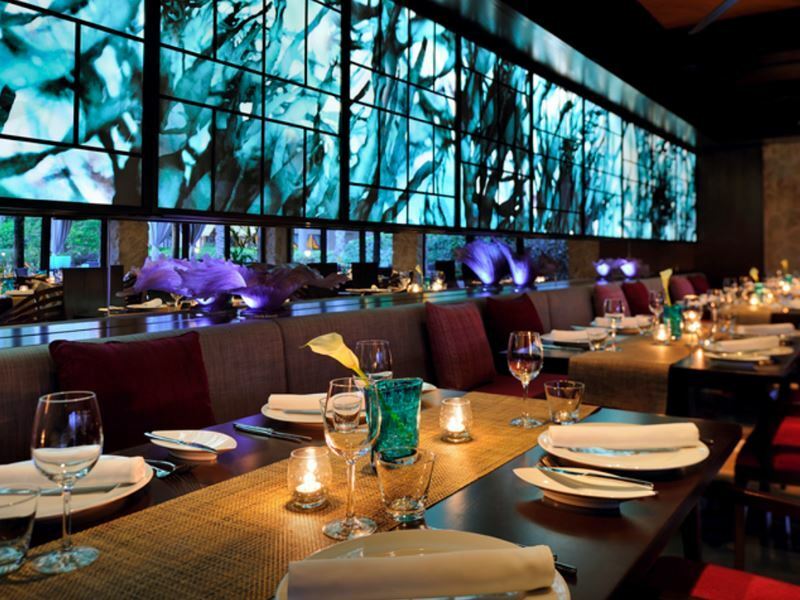 Many of the incredible restaurants featured here can be found within the city’s luxurious hotels. Visited by those in the know and led by experts constantly seeking to improve on perfection, here are the top 10 fine dining restaurants in Dubai. Where: Le Royal Meridien Beach Resort & Spa, Al Mamsha Street. The scene: Collect the most delicious flavours from along the ancient Spice Route between Asia and the Far East, deliver them in an elegantly decadent wonderland and there you have Zengo. A sophisticated balance of exotic eats, intimate alcoves and Asian-inspired artisan cocktails, this luxurious venue is an excellent place to get into the party mood. Set inside Le Royal Meridien Beach Resort and Spa, Zengo flaunts an avant-garde interior, with vibrant, contemporary designs blending with traditional elements for the ultimate in restaurant chic. 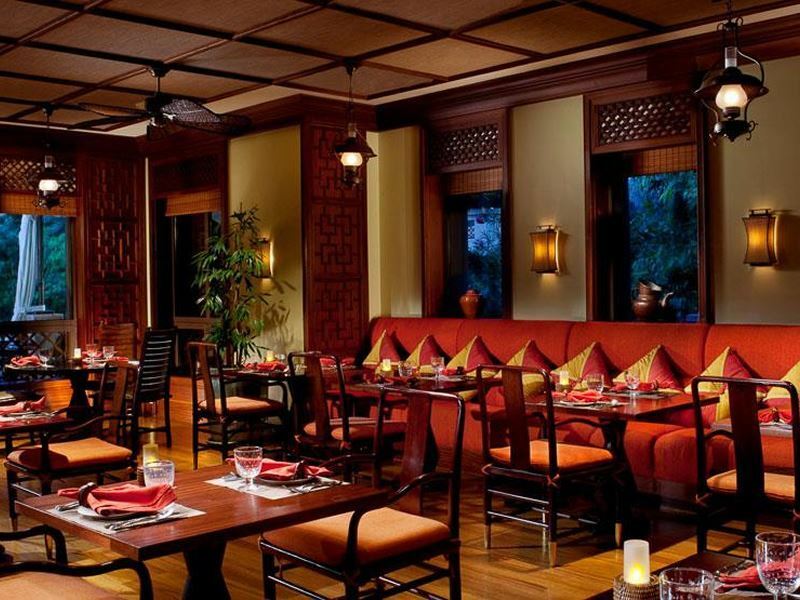 The Pan-Asian cuisine highlights the very best dishes and delivers them in small platters designed for sharing. From maki rolls, nigiri, sashimi and omakase to tempuras, dim sums, curries and wok dishes, every menu item is bursting with a plethora of flavours and colours. Signature dish: Zengo Zen Omakase – a mixed platter with 20 pieces of salmon, tuna and hamachi sashimi, unagi-ebi-suzuki nigiri, and angry Zengo-volcano rolls. Where: Waldorf Astoria Dubai Palm Jumeriah, Crescent Road, The Palm Jumeirah. The scene: Bringing modern Italian dining to Dubai, Social by Heinz Beck is the creation of world-renowned three-star Michelin Chef Heinz Beck. 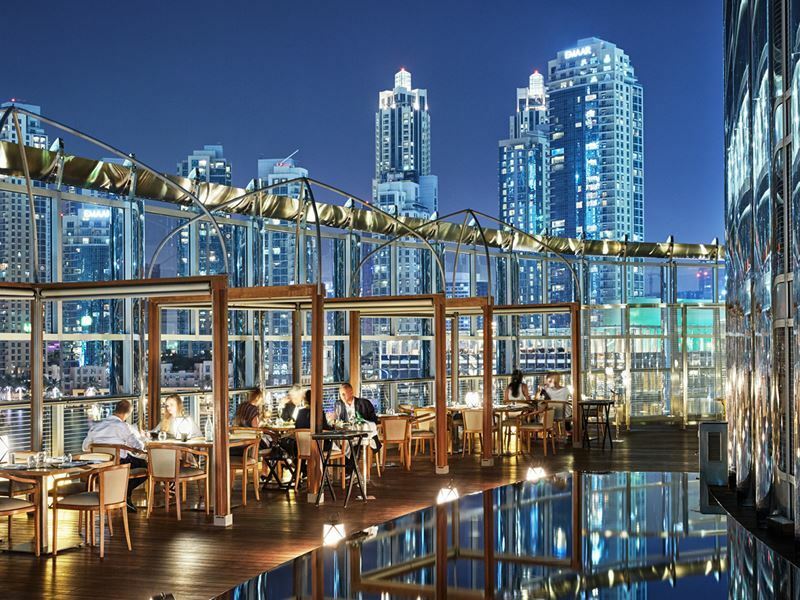 This top end restaurant boasts inviting design elements, a refined atmosphere and magnificent views of Dubai, making it the ideal place to celebrate a special occasion. Highly regarded throughout Europe, Chef Heinz Beck expresses his one-of-a-kind interpretation of modern gastronomy, mindfully curating selected ingredients and implementing innovative techniques to remodel simple, everyday meals into highly expressive dishes. The Mediterranean menu is brimming with classic plates heightened with the chef’s signature transformations – duck ham on watermelon with foi gras gems, potato gnocchi with pumpkin foam, grilled John Dory with curry on light pesto cream and sea bass on red fruits with julienned vegetables are just some of the taste sensations awaiting you. Signature dish: Fagotelli Carbonara – five small parcels of delicate pasta filled with veal and cheese, dressed in a bacon and pecorino sauce. Where: Al Sufouh Road, Jumeirah Road, Arabia Courts. The scene: Immersed in the blue of the sea and the sky, Eauzone is a relaxed restaurant perfectly positioned for listening to the rhythm of the ocean tides and watching the dazzling hues of the setting sun. Located beachside and surrounded by gently swaying palms, the upscale restaurant features shaded wooden decks and floating lounges where you can indulge in fine dining in pure comfort. The food is a tempting blend of new Asian and international with an Asian twist, providing something for both adventurous and play-it-safe palates. From classics such as Caesar salad, pan-seared scallops with a sesame sauce and tomato penne with olives to more exotic treats, such as Vietnamese rice paper crepes, miso-glazed black cod and grilled lemongrass beef tenderloin, there’s such a heady choice of intriguing flavours, you won’t know which one to pick! Signature dish: Eauzone Combination Plate – a sharing platter comprised of grilled chicken skewers, sticky rice, papaya salad and peanut sauce. Where: Jumeirah Al Qasr, Madinat Jumeirah. 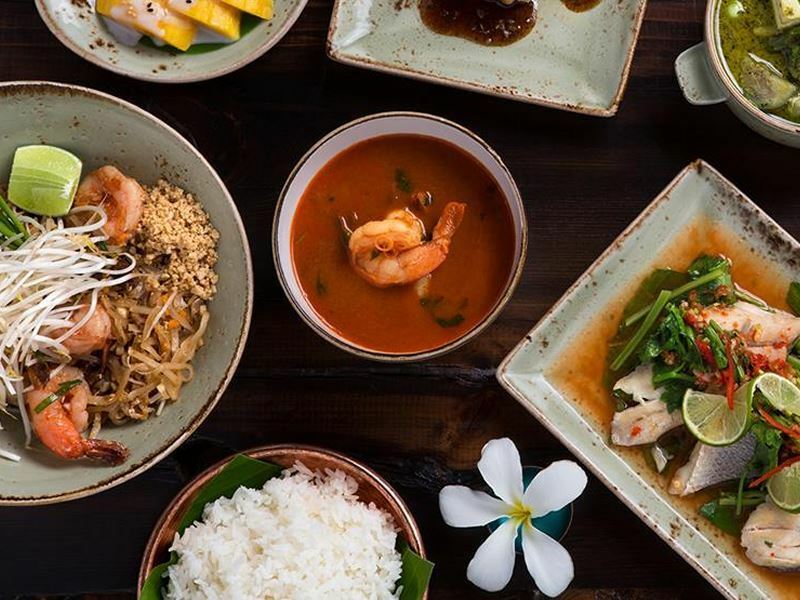 The scene: Dishing up gourmet Thai food in the heart of Dubai, Pai Thai invites you on a culinary journey of discovery that begins before you even arrive. A traditional abra boat transports you to the restaurant where you’ll be treated to stunning views across Madinat’s serene waterways. Then the gastronomic magic truly begins, with a medley of delicate, aromatic and enticing dishes exploding with the authentic flavours of Thailand. Flavour-punching plates, from sundried crispy beef with a garlic chilli sauce to roasted red duck curry with Thai basil, combine with breath-takingly romantic environs, which make spending an evening at Pai Thai the ideal place to enjoy a glamorous date night or celebrate a special occasion. With such excellent reviews and such a high reputation, it’s no surprise this restaurant has received the Time Out Dubai Best South East Asian Restaurant Award four years in a row, making it definitely one to try when in the city. Signature dish: Goong Kratiem Prik Thai – crispy tiger prawns cooked in a garlic, coriander and green pepper sauce. Where: Grosvenor House Dubai, Al Emreef Street. The scene: Self-declared as Dubai’s most sought-after venue, Buddha-Bar has a lot to live up to and it does so exceedingly well. The two-storey venue boasts wow-worthy interiors, with striking overhead chandeliers, huge bay windows revealing exceptional views of the Dubai marina and the iconic larger-than-life golden Buddha statue overlooking the dining room. Here you can nourish your senses with the exquisite flavours of Asia and the Far East, choosing from an ingenious menu inspired by the finest dishes from Thailand, Japan and China. The huge menu covers almost all speciality dishes, from cold sushi, sashimi, maki and combo platters to hot beef, lamb, poultry and tempura dishes, so you’re sure to find something so incredibly delicious you’ve got to try it. Whether you decide to settle down in the Sodo dining room or take it upstairs to the Dragon bar for DJ-spun tunes, a night at the Buddha-Bar is guaranteed to be one to remember. Signature dish: Buddha-Bar Maki – sushi rolls made with the best salmon, Alaskan crab and cucumber, served with a creamy sauce. Where: Burj Al Arab, Ground Mezzanine Floor, Jumeirah Road. The scene: Offering a sweet taste of California in the UAE, Scape Restaurant & Lounge is a vibrant and chic dining venue, perched on the Burj Al Arab Terrace with views extending out over the Arabian Gulf. The blissful open-air terrace with low comfy seating provides the perfect place to savour an indulgent weekend brunch of sushi donuts and bubbles. Then return just before sunset to snuggle up with fresh signature drinks and innovative tapas as you watch the sun dip into the horizon as part of the Sunset Escapes package. The generous menu features Cali classics, alongside subtle influences from Latin America, the Mediterranean and Asia, resulting in delightful flavour combos, such as mahi mahi ceviche with papaya salad, octopus salad with olives and almonds, and baby chicken with barbecue miso. 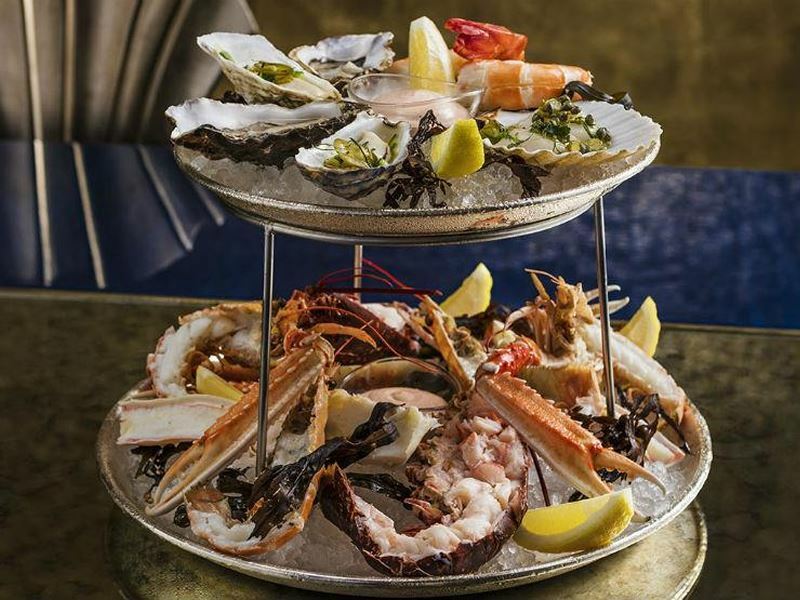 Signature dish: Cold Seafood Tower for 2 – sharing platter of mussels, prawns, lobster and scallops with dipping sauces. Where: Level 3, Armani Hotel Dubai, Mohamed bin Rashid Boulevard, Burj Khalifa, Downtown Dubai. The scene: Blending long-established cooking methods, signature ingredients and traditional family recipes to recreate the authentic flavours of India, Armani/Amal is a phenomenal venue for fine dining Indian food. Accentuated by the gentle sounds of traditional music, inspiring interior design and sublime views of Downtown Dubai, a meal at this designer restaurant is less of a way to feed your body and more of a way to nourish your soul. The cuisine highlights a vast collection of regional Indian dishes, creatively crafted by dedicated chefs and includes exotic curries, tandoor specialities and aromatic side dishes complemented by a carefully selected array of world-class drinks. 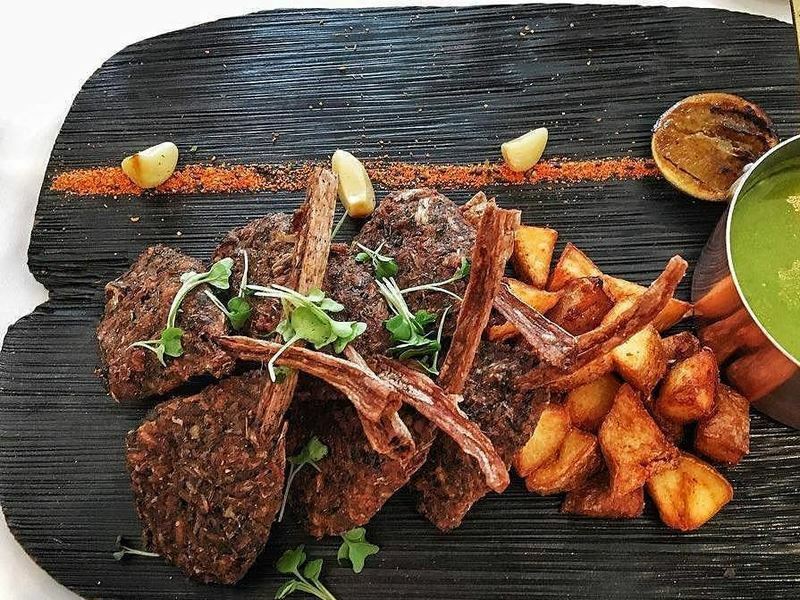 There’s a great assortment of modern and traditional dishes to choose from the a la carte menu, but for a real introduction to the complex cuisine, opt for one of the sampler platters or multi-course set menus. Signature dish: Armani/Amal’s Sampler for 2 – a section of chicken, lamb, seafood and vegetable kebabs. Where: Level 2, Nassima Royal Hotel, Sheikh Zayad Road. The scene: For authentic Indian dishes with an exciting original twist and awe-inspiring presentation, Tresind is hard to beat. 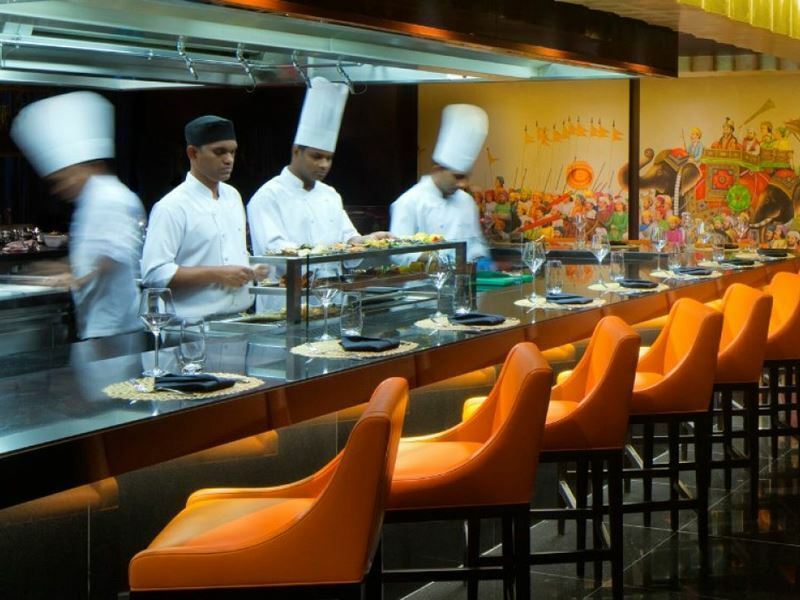 Here the chefs take advantage of the finest Indian ingredients and manipulate them with progressive culinary techniques to give you the experience of a lifetime. With taste bud tantalising flavours and captivating presentation where nothing is out of bounds, be prepared to engage all your senses, not just your palate. Choose from a vibrant a la carte menu, bursting with never-seen-before dishes like deconstructed pani puri, bhaji minestrone soup with chili cheese toast, Australian lamb shank with cous cous pulao and Malay lobster curry with flame-roasted coconut or leave the deliberation up to someone else and opt for one of the impressive tasting menus thoughtfully put together by the skilled chefs. Signature dish: Modernist Chaat Trolley – the popular Indian street food chaat prepared tableside with the use of liquid nitrogen for added drama. Where: 4th Floor, Taj Dubai, Burj Khalifa Street, Business Bay. 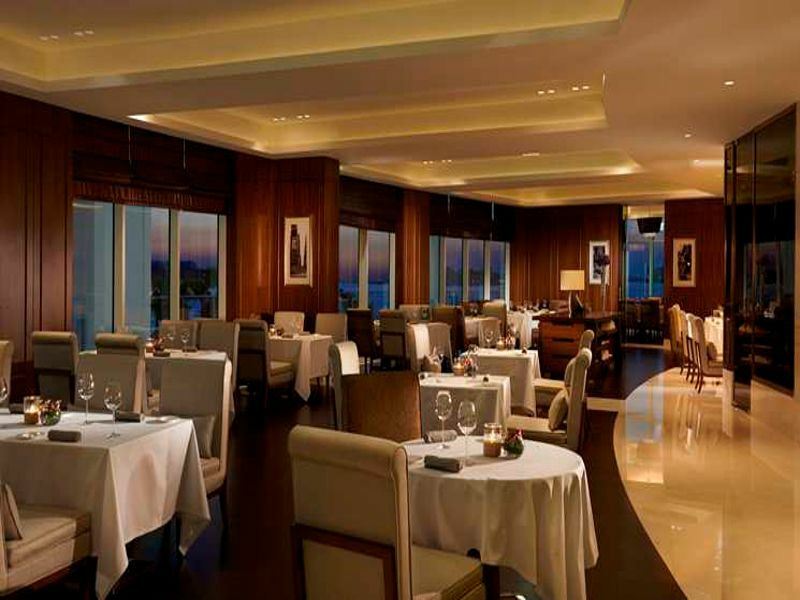 The scene: Taj Dubai’s signature restaurant, Bombay Brasserie is a harmonious union between classic and contemporary. A table reservation at this highly in-demand restaurant promises culinary drama, authenticity and true innovation, thanks to the live open kitchen, dynamic oversized artwork and botanical bar concept. The vivid design combined with low-level, atmospheric lighting creates a charmingly sophisticated, yet approachably laid-back dining experience for foodies looking for something more than just a place to eat. The dramatically tempting menu is divided into two. One is an a la carte section overflowing with tasty eats, such as basil chicken tikka with kaffir lime and chilli beef with coconut, and the other is a colourful collection of decadent tasting menus of three or four courses, each more opulent than the last. For a heightened experience, choose the BB Madhushala standard or vegetarian tasting menu which comes with two options for each of the four courses and exceptional wine pairing. Signature dish: BB Tasting Plate – a selection of starters chosen by the chef. The scene: Oozing minimalist opulence, the award-winning Indego by Vineet brings Indian cuisine to life through explosions of aromas, textures and flavours. Led by Michelin-starred Chef Vineet Bhatia, this prestigious dining hotspot is greatly admired for its impeccable blend of traditional spices and gourmet presentation. From sensational starters of gunpowder coconut prawns and seafood trilogy to impressive mains of paneer pasan and Punjabi chicken, all the way through to exotic desserts like chocolicious Inego, everything sounds so remarkably tempting that you’ll wish you could try it all. If settling on just one main course is too painful an act, treat yourself and your dinner guest to one of Vineet Bhatia’s magnificent platters, cleverly designed for sharing so the entire table can try a little bit of everything. For a beautiful end to your meal, order one of the special flowering teas and watch as the hand-tied bouquet of dried flowers and herbs blooms back to life and infuses the water with a myriad of floral flavours. Signature dish: Tandoori Salmon – tender morsels of home-smoked fresh salmon prepared in a traditional tandoor oven. With so many decadent dining venues in Dubai, you really are spoilt for choice when it comes to a luxurious breakfast, lavish lunch or upscale dinner. To show you just how many exceptional options there really are for eating out in Dubai, here are 11 more outstanding fine dining restaurants in the city that just missed out on featuring in the top 10. Boasting one of the most spectacular views of the city skyline, Cielo is a rooftop lounge and restaurant with an Ibiza beach vibe where you can indulge in light Mediterranean cuisine. 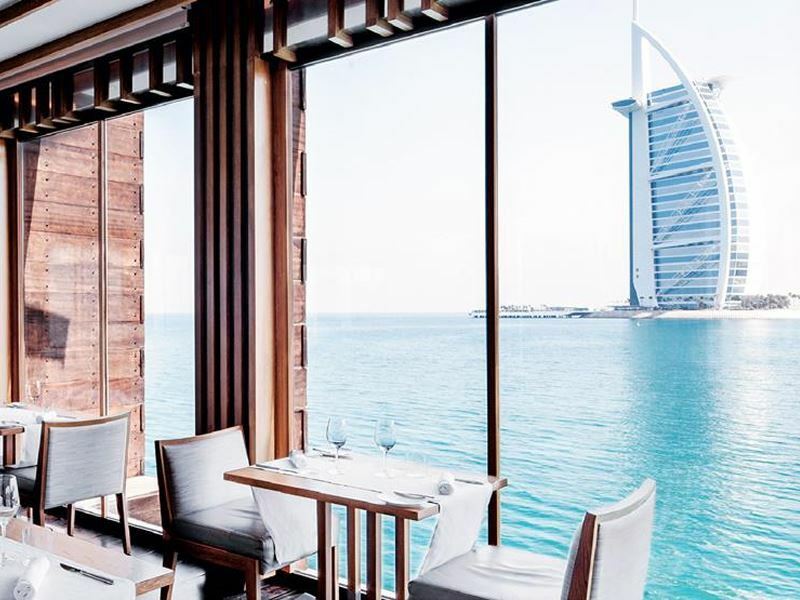 Brandishing captivating sea views through floor-to-ceiling windows with an excellent menu that sets a new standard for fresh and sustainably-sourced seafood in Dubai. 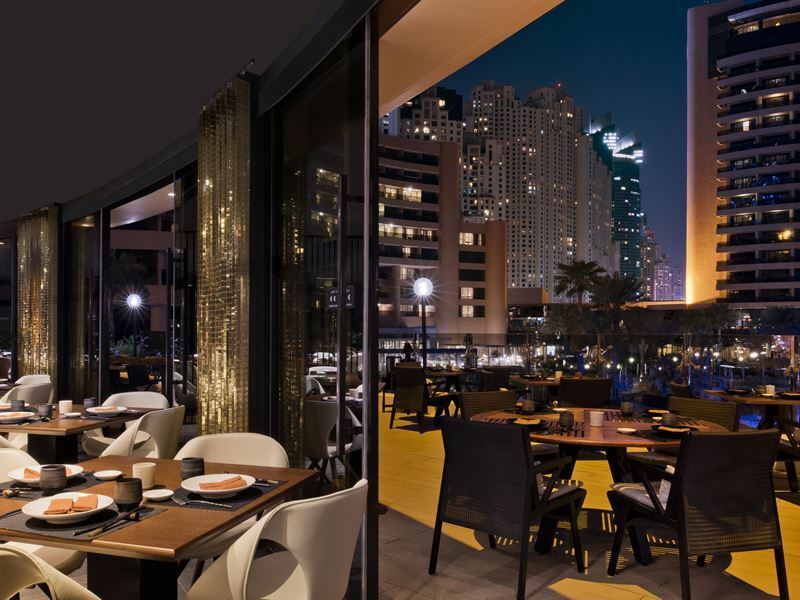 Dubai’s only revolving lounge and restaurant, Al Dawaar treats diners to enchanting views of the city’s skyline, superb live cooking shows and an international buffet in an elegant setting. 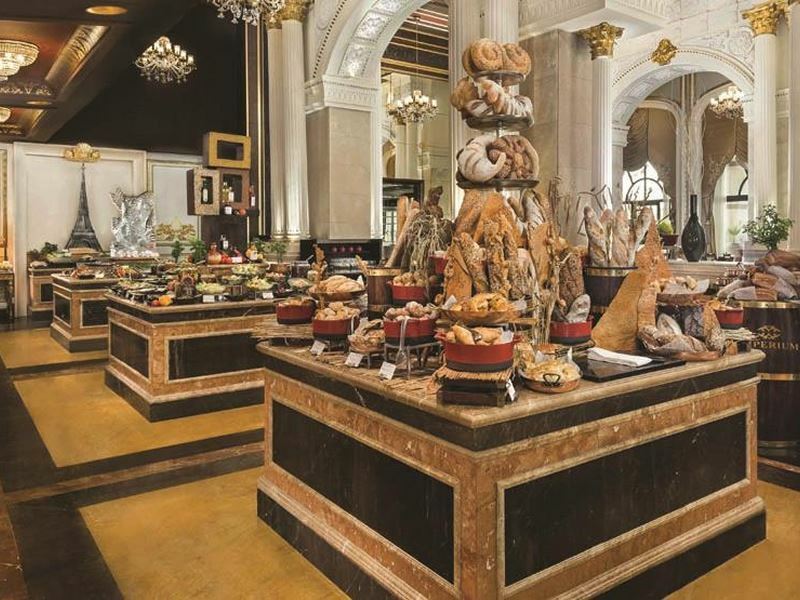 Jumeirah Zabeel Saray hosts Imperium, with all-encompassing international buffets, dazzling themed nights and lazy weekend brunches are the three things this glitzy, glamorous dining venue is best known for. Delivering extraordinary dining with a culinary genius, this prominent restaurant uses traditional methods in a contemporary fashion to craft its European-inspired signature dishes. Bathed in Swarovski crystals, Junsui serves up rich flavours of Far East Asia from live cooking stations where you can watch your culinary masterpiece come to life. 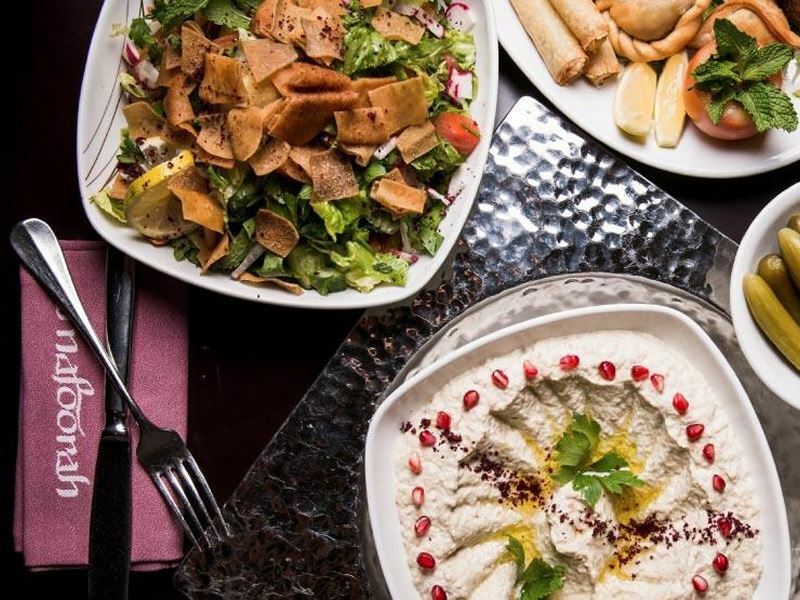 An all-day dining venue serving an intriguing blend of Arabic and Oriental specialities, well known for their spectacular mezze platters designed for sharing. Run by the award-winning British chef, this seafood restaurant keeps things simple and lets the subtle flavours and freshness of the ingredients speak for themselves. Plating up dishes of authentic Lebanese eats, complemented by excellent service, mesmerising entertainment and an inviting atmosphere at Jumeirah Emirates Towers. Home to a unique concept of a quarterly-changing foodie theme and chef line-up, Enigma is always offering something new, vibrant and bold. The place where good friends meet to share special occasions, Tomo offers a wonderful selection of authentic Japanese dishes created by expert chefs with decades of experience.